In 210 BC, Emperor Qin the Second's heartless cruelty caused widespread poverty among the people, who could no longer tolerate and started uprising one after another. Xiang Yu was the King of Western Chu in the insurgents. Liu Bang joined in the insurrectionary army. Eventually, he and his army succeeded in breaking into Xiangyang, the capital of Qin Dynasty, having ended the rule of the Qin Dynasty. 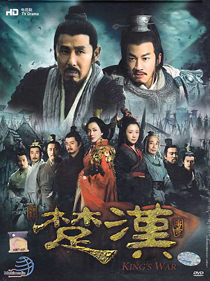 After the fall of the Qin Dynasty, Liu recruited a large number of talents, having hidden his abilities and kept a low profile, opened the prelude of the war between Chu and Han. Finally, Liu inflicted heavy losses on Xiang Yu's army in Gaixia.